Thanks to TFW user Grimlock25, we have another Studio Series sighting! 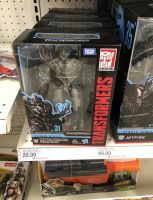 Found yet again in Florida, at a Target in Largo, we have our first US sighting of the Revenge of the Fallen Voyager Battle Damaged Megatron Target Exclusive. This version of Megatron features a good deal of battle damage paint, a much darker black and grey color scheme, and a damaged head with exposed eye to complete the look. It seems Florida’s on a weird roll right now with firsts, but keep your eyes peeled as this version of Megatron will surely be popping up elsewhere soon enough. Happy hunting, TFW! Sign up for the alerts. And follow this link to check when your stores get them. 1 store in my area (My local one) got a case yesterday, and more are getting them this morning. Target's in Ohio are just now getting them, so theyll be country wide soon. Every store in my area that has gotten it has gotten one case of 2. Also, I had to ask the person in electronics to get it from the back for me, as megatron himself does not have a shelf location in their system at this time since hes a separate DPCI, so they just put him in the backroom. She gladly went and grabbed me one and put the other one on the shelf. I already have an alert set up and it didn't ping me. And thanks for the brickseek link! But it's saying what target's site says which is that my target is out of stock. 1 left online right now if you want it! I just bought 1. Already long gone Thanks though! This Megs has moved into South Ohio. 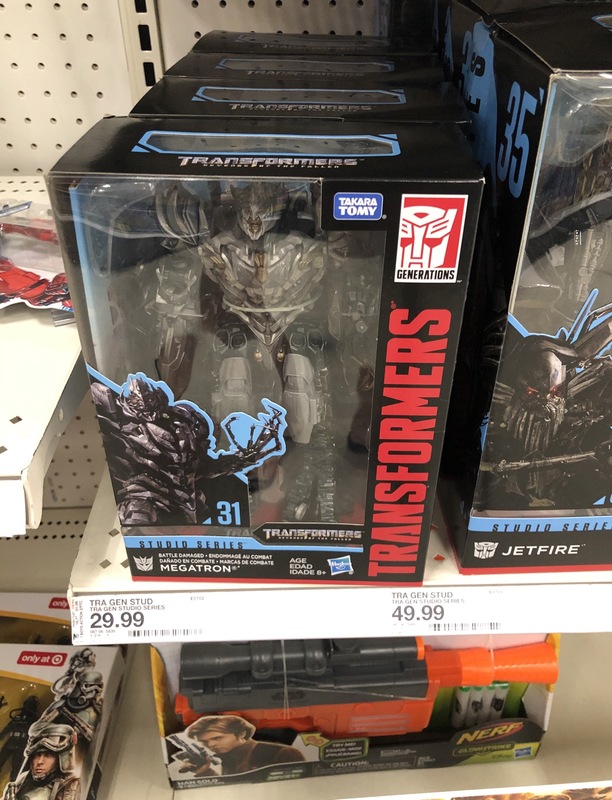 Local Target got a case of the new SS deluxes, wave 2 Siege deluxes, and a case of this megs. Case said something like "tf2 megs" or something like that. Is brickseek some kind of app? Brickseek.com is a website that lets you check stock at Target (via a DPCI number) or Walmart (via a UPC code). You can use it for pretty much anything as long as you have the right code. Oh of course! Thank you gentlemen! isn't the dotm version of megatron supposed to be the one with the battle damaged noggin? And that's why he has the damage in DOTM in the first place! He was found at target in Springfield Virginia days ago. It was posted in the VA sightings thread. Apologies. I don't frequent the VA sightings thread as I don't live there and I didn't see anything posted in News and Rumors or the Submit News forum about that sighting. And that seems to be our first sighting! I can hear his slobbering cry now: \"Sharrscreeem! !\"
“Florida’s on a weird roll right now” when the hell ISN’T Florida on a weird roll?! Lucky. My target has three bonecrushers and that's it for studio series.